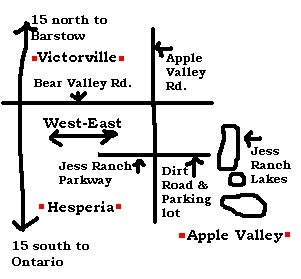 Click Here for Directions Day Parking is free. The Lakes' Staff is here to help make your visit a happy one. No loud noise or music is allowed. We try to maintain a peaceful and safe park for our visitors. No Pets or Bicycles are allowed in the park. No lake Limit Fishing Passes will be sold after 2PM. You may still fish at the Angling Pond. form at the front ticket office. on the Adult and Child Limit Fishing Pass. Please fish in those areas only. the park. 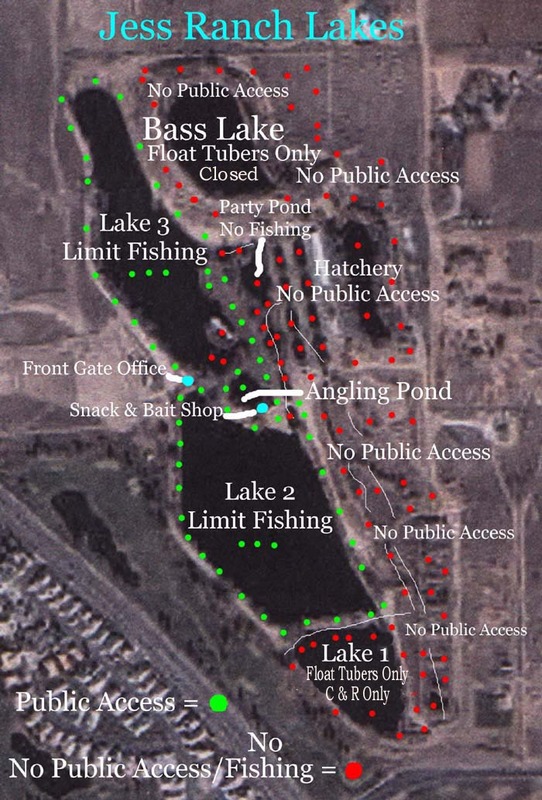 No visitors are allowed in the Hatchery or Bass Lake areas unless accompanied by a park staff member. Those caught in these areas will be asked to leave the park. area or may bring propane or charcoal barbecues that are approved by our staff and used in an approved area. must be used responsibly and only by those who are 21 years of age or older. taking out and be prepared to open coolers and bags for inspection. No Fly Rods allowed on Lakes 2 and 3. Each Angler must have their own stringer or basket. Shirts and shoes must be worn at all times while in the park. individual to leave the park at any time. The Lakes does not give Refunds or Rainchecks.